The new age of modern worlds and research has given lots of benefits to the overall health of people in a new fashion and care of our body. However, the cardiovascular diseases are still the leading cause of death in this modern world. The report shows that death rate cause due to (CVD) cardiovascular diseases had declined by 41 % in the US from 1990 to 2016, against that in same period in India the diseases rose by about 34% from 155.7 to 209.1 deaths per one lakh population. Heart disease is the leading cause of death in India, killing 1.7 million Indians in 2016, according to the 2016 Global Burden of Disease Report, released on September 15, 2017. 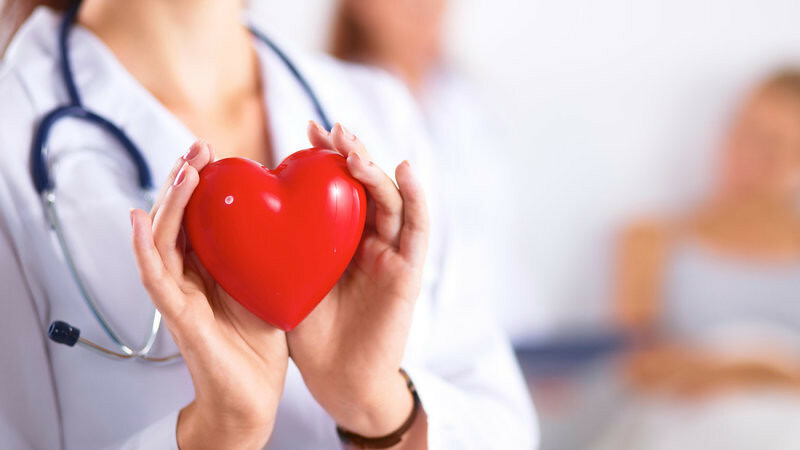 However, prevention is the key; 80% of heart diseases and up to 90% of heart attacks could be prevented by a healthier lifestyle, by exercising more and watching your diet, says the experts. Following these tips if you follow from a young age can cause a change in this Decalogue you will find the keys to a healthy and strong heart. If you really want to take care of your heart, you should be very careful with salt. However, beware, it is not just about giving up the salt shaker, there are a lot of foods that you consume daily that have significant amounts of this mineral, and you are consuming them without knowing it. The main consequence of an excessive consumption of salt is hypertension, which, in turn, can cause different cardiovascular diseases.The foods that can contain it in higher quantities are sausages and industrial preserves, bread, nuts with salt, precooked foods. All in its natural and homemade version are very healthy, and you have the advantage that you can control the amount of salt that added when you cook. One of the basic pillars, in addition to food, when it comes to taking care of your heart is to exercise regularly. It is not that you start preparing for a marathon. It is enough that you walk between 30 and 60 minutes at a good pace for five days a week. In this way, you will strengthen your heart and avoid obesity, one of the main risk factors. Carrying out this type of activity reduces a cardiovascular risk by up to 11%, but it has also been shown that 78% of people over 80 years of age who practice at least half an hour a day extends their lives by a minimum of five years. Few things are as harmful in any area of life are these two substances. However, when we relate them to cardiovascular diseases, their harmful effects multiply. Smoking not only has consequences at the pulmonary level but the harmful substances of tobacco cause cancer and is related to heart disease. The consumption of alcohol is also harmful to the proper functioning of the heart and our body in general, as it increases blood pressure, which eventually leads to cardiovascular disease and can lead to type 2 diabetes. When it comes to eating a healthy and balanced diet, it is essential to distinguish the different types of fat. Saturated fats are those that we must limit since their consumption in excess can be harmful to our health, for example, butter, bacon, those found in bakery and industrial products. On the other hand, “monounsaturated and polyunsaturated fats have beneficial effects for health, since they include essential fatty acids that cannot be synthesized in the body, but must be obtained through food,” explains Rosa Ortega, professor of Department of Nutrition of the Faculty of Pharmacy of the Complutense University of Madrid. Therefore, you have to incorporate foods such as nuts, fish, avocado or olive oil into your diet. Overweight and obesity are also found in the list of risk factors for cardiovascular diseases, and once again; most of Indian are included in this area. A recent study published in The New England Journal of Medicine stated on a basis 195 countries and territories from 1980 through 2015. The published shows that there are about 2.2 billion children and adults worldwide, existed struggling with obesity and India closely at 14.4 million. Controlling your weight depends solely and exclusively on the diet you take and the physical exercise you perform. Try to eat in a balanced way, with lots of vegetables, fruits, fish at least four times a week, white meats. The consumption of sugar should also be controlled. Eye, on what we talk about refined or added sugars, that is, this advice does not affect the sugar naturally present in foods such as fruit or milk. However, consumed in excess, sugar can increase the risk of obesity, increases blood-glucose levels and cholesterol. That is, it is a real pump for your heart. Like salt, there are many foods that we buy every day in the supermarket have added sugars, even those that are salty. The best option is to opt for the most natural and homemade options to help your heart beat strong and healthy. The benefits of our world-famous diet are innumerable. The typical vegetarian Asian Indian diet is particularly high in carbohydrates such as Roti, rice, raita; vegetables; all are carbs, even lentils and daals have good protein contains to have a higher content of carbs than protein. Besides this if added Indian keto diet such as mint (Pudina), cheese, cottage cheese (paneer), walnuts, coriander, spinach (palak), onion, cucumber, garlic, mustard leaves, bottle gourd, eggplant (beingan), chia seeds, ginger, French beans, okra (bhindi) along with food, consumption of two liters of water a day helps to protect your heart from cardiovascular diseases. Following these premises can reduce up to 30% the risk of suffering cardiovascular disease, and decreases up to 70% the chances of suffering it again if it has already been previously. One of the main dangers in the development of cardiovascular diseases is high cholesterol. According to the Indian Heart Journal, almost 30% of the Indian population suffers from hypercholesterolemia and 46% of them do not even know it. To reduce it, the key is to take care of the food. According to Dr Nalini Shah, who heads the endocrinology department of KEM Hospital in Parel, revealed there is a necessity for better awareness about the ill-effects. The main reason is due to the extra dense calories we are tucking in and the complete sedentary lifestyle we need where all we move is a few buttons. She also revealed that even 12-year-olds are with obesity, dyslipidemia and diabetes; it is because we are not careful about the quantum or kind of food we lay on our tables. She added, it was advisable to increase the consumption of fruits, vegetables, whole grains, dairy products, fish, olive oil to achieve a greater contribution of vitamins, minerals, fiber and Omega 3, decreasing the consumption of foods rich in saturated and trans fat. It Furthermore, recommends daily physical exercise to reduce our cholesterol levels and keep them stable. The World Health Organization recommends taking three to four servings a week and two of them should be blue fish that is rich in Omega 3, a fatty acid essential for the proper functioning of our body, especially. If one could include main food that contains Omega 3 in the daily diet can be helpful. If you are vegetarian no problem, there is much other food such as flax seeds, being the richest source of Omega-3 fats it is considered to be a super food, other foods are Chia Seeds, Canola Oil, Walnuts, Soybeans (Roasted),spinach etc. To protect your heart you must incorporate foods into your diet at least twice a week. Consequences of not sleeping well. How much would be enough? Well, everything depends on each person. It is estimated that between 6, and 8 hours of sleep is the best time for a young adult to have a healthy heart, and reduce the risk of heart problems. If you sleep a few hours, your body will not produce the necessary amount of serotonin, which is responsible for making you feel good and comfortable. If this hormone is not found in normal doses, it can cause more desire to eat and drink. Encourage yourself to put these simple measures into practice and fully enjoy a healthy and strong heart. Remember, all that is needed is to be consistent and constant in time! Attractive section of content. I just stumbled upon your site and in accession capital to assert that I get actually enjoyed account your blog posts. Any way I?ll be subscribing to your feeds and even I achievement you access consistently rapidly.